Also listen to this short audio (MP3) clip of Bob O'Donnell & Ronald Rosberg (ABC Radio/KSFO), host O'Donnell on Technology radio program, on what he had to say about My Cable Mart. "I've ordered from My Cable Mart several times before - they are fast, have huge selections, and are reasonably priced." "good product, good price, good service." "Value and good customer service is worth every penny." "Shipping was much quicker than expected particularly with the Christmas holiday." "I love this place! I have been a customer for years! Thank you!" "you have a great web site, great products, and fantastic shipping... keep up the great work..... i tell everyone i know to use, mycablemart....."
"The best website I have used Period...."
"This item seemed to be one of the few i could find for my application, Seems to be a great item but have not installed it yet"
"I recommend Mycablemart to anyone who needs cable. I was even in Best Buy and told another shopper to go to Mycablemart and order cables. Fantastic price, high quality cables." "Quality cables. Very satisfied with the whole ordering process. Quick delivery." "Prior to placing the order, I wanted to confirm if all terminations are in stereo, not a mix of stereo (female end) splitting into two mono males. Tech service responded within the same day. Order was placed soon afterwards." "It's been years since I've placed an order with Mycablemart. It's great to see the company is still outstanding. Thank you!" "I was very glad to find exactly what I was looking for thank you"
"Great well made product that fit my need exactly....👍"
"I’ve used my cable mart many time without issue, products, price comparison and shipping the BEST"
"Been using MyCableMart exclusively for all our A/V needs...Why go anywhere else when you get the quality and service that’s second to none !!!" "I was shocked how quickly this order was processed, communication was received. Value was excellent, and Delivery extremely timely. 5 Star"
"Have bought several brackets from the heavy duty full motion to the corner bracket and never been disappointed with the quality or material. Have installed this bracket with my in laws and they love the flexibility it provides for customizing the angle. Highly recommend MyCableMart!" "MyCableMart is my go-to when I need wall-mounts or cables. Great quality products." "This isn't the first time I have ordered from MyCableMart.com. I surely will buy from them again. They always have what I am looking for." "Great product at an affordable cost. Would consider buying from them again!" "Looked at all the big box stores inventory. Couldn't find what I needed to complete my project. Ironically, an associate at one of the big stores told me that he has used your website to complete some of his projects in his home. This is how I found out about your website. Thanks to a conscientious employee of a big box store ! I'll definitely use your website again." "I have had many HDMI issues installing my new system. Josh and Anthony have both been extremely helpful. I already have passed on information about Mycablemart to other people. Thanks, Anthony and Josh for all your hard work on my behalf. Jim Chambasian"
"Order was place, shipped and delivered very quickly for a great price." "First time buyer from MyCableMart.com. Pleasant experience all the way through the process. Found exactly what I was looking for. It arrived well packaged and sealed. It works exactly how I intended it to be used. Positive experience...I would purchase from site. Again." "I am a repeat customers. 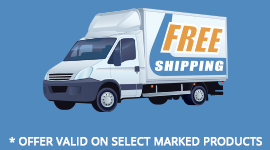 Descriptions are always accurate and shipping is quick." "This is the only place I will buy cables from ever again." "Been a customer for over 10 yrs. Excellent quality and prices since first order." "I had ordered these on a prior occasion but lost them so I was able to find them immediately and there were in my hands in record time. I am very pleased with the quality- this is an all metal product, no plastic." "Great price. Excellent choice of sizes. Fast shipping. Will buy again from this company. I highly recommend"
"Great products love this website"
"The prices and shipping cost was low enough, I ordered 3 different audio jack extenders to make sure I had one that worked. They arrived 1 day faster than I was expecting. To top it all off, the first and only one I tried worked great. If the need arises, I will definitely purchase from this site again and strongly recommend them." "Every aspect of the transaction was top rate. You are second to none! I will be doing more business with you soon! Scott"
"Great doing business with you....fast and reliable"
"I've been ordering from you guys for many years and will continue to do so. Great prices and quality of products. Thank you." "The processing and shipping is very quick. It is usually 2 or 3 days from when I order items to when they show up with the cheapest shipping costs." "The product is of excellent quality, and the speed of shipping was remarkable. I am very happy with the buying experience with your company. Great product, great price, and fast shipping. Keep up the good work! Thank you!" "Locating, ordering, paying, shipping and receiving on mycablemart.com is about the easiest thing I've done when it comes to shopping for cables." "it was exactly what we wanted and needed. We are very pleased with every aspect of placing order to how fast we received it to installing it where we wanted it." "Have ordered before. Speed of shipping almost as fast as going to a local store. Prices are excellant"
"I ordered the product rather late and never expected to receive it in time for my show but to my surprise and delight it arrived just in time. I am a very happy, satisfied and impressed customer." "A perfectly sized cord which arrived almost overnight. Thx for the excellent service & product!" "As a professional DJ business I must say Cable Mart is a great reliable company to get your equipment the ordering process was very easy the shipping was amazingly fast and their prices are very good I highly recommend them for all of your wiring and equipment needs." "Very good prices and surprisingly fast shipping for standard shipping"
"Good website, nicely organized, very attractive pricing, fast and low cost shipping. GREAT!" "I have been buying High-Speed HDMI Cables, Optical Audio Cables and all kinds of cables from My Cable Mart for years and I tell EVERYBODY I can to do the same. They never disappoint. Not ever. The selection is TOP NOTCH and so is the SERVICE. Edward G. Robinson, MBA, MCSE"
"This product suited my need perfectly. Fast shipping and a smooth transaction!" "MyCablemart.com is my first resource for any kind audio, video or computer cable and hard-to-find couplers and adapters. Easy to use website, straight-foward ordering, and delivery is always prompt and efficient. Keep up the great work!" "Quality products that are significantly less expensive than buying in a regular store. Keep up the good work guys!" "This adapter works well with *The Square* credit card reader to allow access to the earpiece port through thick protective phone cases. Works great."